For centuries, the archbishops of Constantinople could credibly claim to be the “Ecumenical Patriarch”. Their see was the “New Rome”, centre of the oikoumenē, the “inhabited world”. Today, their successor, Patriarch Bartholomew, looks beleaguered. The guards around his residence in the Phanar quarter of Istanbul reveal his threatened position in an increasingly Islamified Turkey. But now he seems poised to gain other powerful enemies, this time within the Orthodox Church itself, by unilaterally recognising a Ukrainian Orthodox Church independent of Moscow. The renascent Church of Russia, thought to comprise more faithful than all the other Orthodox Churches combined, covets Constantinople’s leadership role. Styled “the Third Rome” since Tsarist times, Moscow believes geopolitical reality should give it more weight than Bartholomew’s aura of the Byzantine past. Moscow has long sought to expose Bartholomew’s weakness, as when it tried to wreck the Pan-Orthodox Great and Holy Synod of 2016. The Russians and other Churches under their influence stayed away, greatly reducing the impact of the long-planned assembly where Constantinople had hoped to bolster its prestige. But perhaps Bartholomew now has an opportunity to strike back. Since Ukraine gained independence in 1991 two distinct groups have separated from the Moscow patriarchate, seeking to establish a distinctively Ukrainian Church. One of these groups has established a patriarchate based in Kiev, while the other group, older but much smaller, makes the less radical claim of being the autocephalous (self-governing) Church of Ukraine. 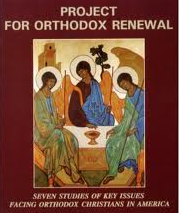 So far, neither has received recognition from any other canonically recognised Orthodox Church. But conflict with Russia since the 2014 revolution has reportedly enhanced the standing of these groups with patriotic Ukrainians. Bartholomew has announced his intention to recognise an autocephalous Ukrainian Church, uniting these groups – and anyone else who will join them – into a single jurisdiction looking to Constantinople rather than Moscow as the Mother Church. Bartholomew’s bold move has provoked an outcry from Moscow and other Orthodox churches and theologians. Some see it as unwarranted interference within Moscow’s jurisdiction, fanning the flame of Ukrainian nationalism and undermining Orthodox unity. Others accuse Constantinople of seeking an unprecedented quasi-papal role in Orthodoxy. To understand these reactions, we need to revisit the basic notions of Orthodox ecclesiology. Orthodox theologians recognise no head of the universal Church except Christ. Every bishop is for his diocese a successor of Peter, and supreme authority belongs to Ecumenical Councils. In antiquity five important sees were recognised as patriarchs: centres with authority to settle disputes, but with no direct power over their peers. After the schism between east and west, Constantinople, the “New Rome”, assumed Rome’s mantle as first among equals, having a primacy of honour but not of jurisdiction. After the Muslim conquests reduced the importance of the other ancient patriarchates – Alexandria, Antioch and Jerusalem – new churches emerged in the Slavic countries, under the aegis of Constantinople. As these grew in importance, and once the Byzantine Empire had disappeared, these eventually gained autocephaly, a Greek term literally meaning “self-headship”. Autocephalous churches have usually emerged in newly independent nations, but a cursory glance at the processes by which they became self-governing shows that there was no clear, uniform process by which this came about. Some claim that autocephaly in Ukraine would need to be granted by all the existing autocephalous churches collegially. But in the early Church there are only two examples of such a process: Cyprus was granted autocephaly at the Council of Ephesus in 431, while Jerusalem was declared a patriarchate at a council in 692. Ironically, the hope that rules for granting autocephaly would be agreed at the Pan-Orthodox Council in 2016, which might have prevented Bartholomew from acting independently, was torpedoed by the Russian decision to stay away. Moscow maintains that, as the “Mother Church”, it alone has the right to grant autocephaly. But this only happened once in antiquity, when Antioch made the Church of Georgia independent in 466. In most cases, autocephaly was self-declared by churches in emerging nation states. The Russian Church itself was the first, freeing itself of control from Constantinople in 1448. Greece, Romania and Albania followed suit in the 19th century, and the Mother Church only recognised the fait accompli decades later. Moscow’s supporters protest that Bartholomew is subordinating church to state by acquiescing in the politically motivated requests of the Ukrainian government – presumably forgetting that two churches strongly allied with Moscow were severed from Constantinople’s jurisdiction by decree of the secular authorities: Serbia in 1832 and Bulgaria in 1872. They too were only reconciled with the Phanar much later. Finally, Moscow itself has acted unilaterally quite recently. The Orthodox Church of America (OCA), one of several overlapping jurisdictions in the US, was declared autocephalous by Moscow in 1970 but is still not recognised by Constantinople and others. Many of the accusations levelled at Bartholomew look like special pleading in the light of history. So what will happen? 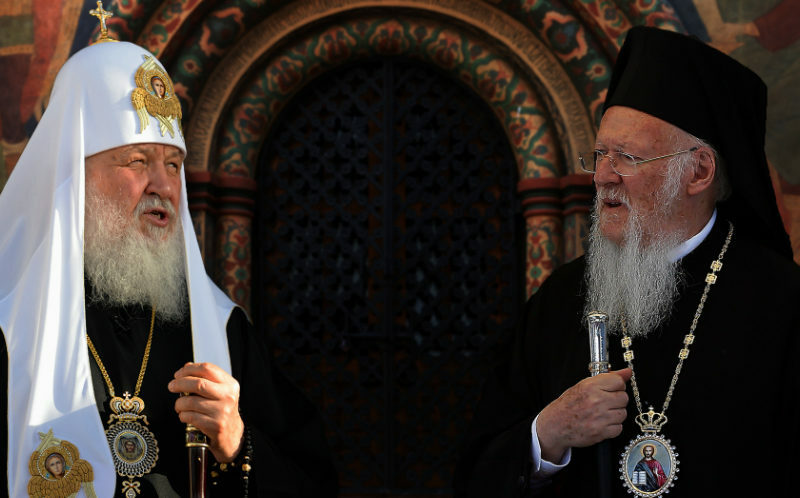 The Russian Orthodox Patriarch Kirill is threatening schism if Bartholomew goes ahead. 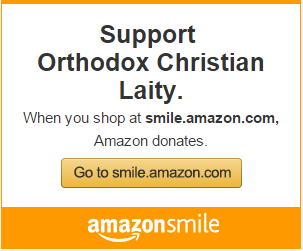 That threat holds less terror in Orthodoxy than it does for Catholics. Temporary ruptures have existed between autocephalous churches before, and have eventually been healed, although a Moscow-Constantinople schism would be unprecedented and grave. Will Bartholomew go through with it and grant autocephaly to Kiev? All the indications now are that Bartholomew judges the inevitable complications less harmful than allowing the Russians to continue undermining his position and pursuing their dreams of hegemony. Constantinople apparently intends to form a new Ukrainian autocephalous church from scratch. It is then expected that the two independent groups will seek to integrate the new entity, putting an end to the confusing proliferation of independent Ukrainian churches. They are likely to be joined by clergy and faithful who have hitherto been kept grudgingly in the Moscow Patriarchate’s fold, now that Constantinople has granted Ukrainian autocephaly a credible claim to canonical legitimacy. Some parishes in pro-Russian areas will wish to remain under Moscow. The Kiev government would be wise not to attempt to coerce them, and to deal tactfully with the inevitable disputes over property and other issues. Catholics can be grateful to belong to a Church with a visible centre of unity and clear – if sometimes dysfunctional – decision-making structures. The papacy has been throughout history a providential means of avoiding excessive political and nationalistic influences within local churches (though currently China is showing that this is often difficult to achieve). In Ukraine, as elsewhere, there are dangers of excessive nationalism in religious guise (the “heresy of phyletism”, as the Orthodox call it). But Moscow itself seems not entirely innocent of using the Church for political ends. What Ukrainians want above all is a church which reflects their sense of nationhood and does not seek to be an instrument of Russification. We must hope and pray that the unified national church which may be in the offing will see its primary mission as promoting the authentic Gospel through reconciliation and peace. We should pray too for Orthodox unity to be preserved. Constantinople and its allies are generally more open to ecumenism than Moscow, but hopes for unity have nothing to gain from Orthodox divisions. A polarised world needs Christians to unite around Christ, not ethnic or sectarian identitarianism. My feeling is that the Constantinople patriarch should not meddle in other jurisdictions, but should be a mediator in trying to resolve the problems through dialogue and consultation ….Why couldn’t a united Ukrainian church be independent and self governing yet still be united with the Moscow Patriarchate?